Home Sweet Home: I Got To Do This! I already have one cup cake tower which I bought from a local store but I am still planning to have more since baking and selling cup cakes is also our business. 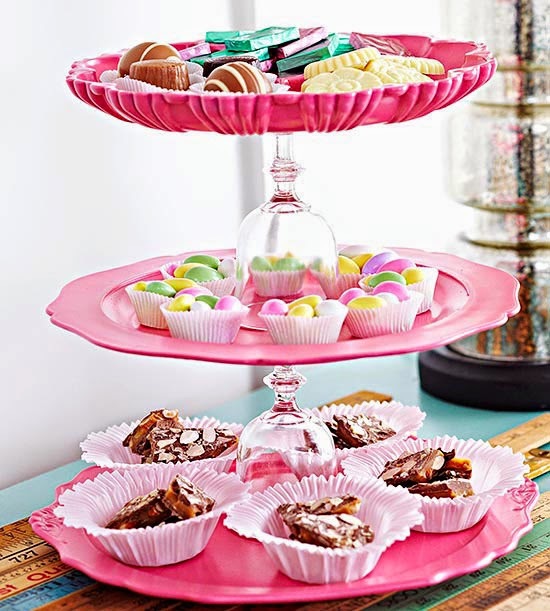 I've found this beautifully crafted cup cake tower made from goblets and serving platters. I think this is really worth a try coz when I went shopping last time, I saw some cheap serving platters in nice colors and shape at a local thrift store. I guess goblets are not so hard to find, too. This is really a cool project this summer and I would definitely include this in my bucket list of projects.